Q+A: What does ancient history tell us about the nature of humanity? Simon Holdaway talks to Maria Armoudian about how we’ve changed, and how our ancestors have dealt with past disasters and changes in the climate. Simon Holdaway is a Professor in Anthropology and Head of the School of Social Sciences at the University of Auckland. 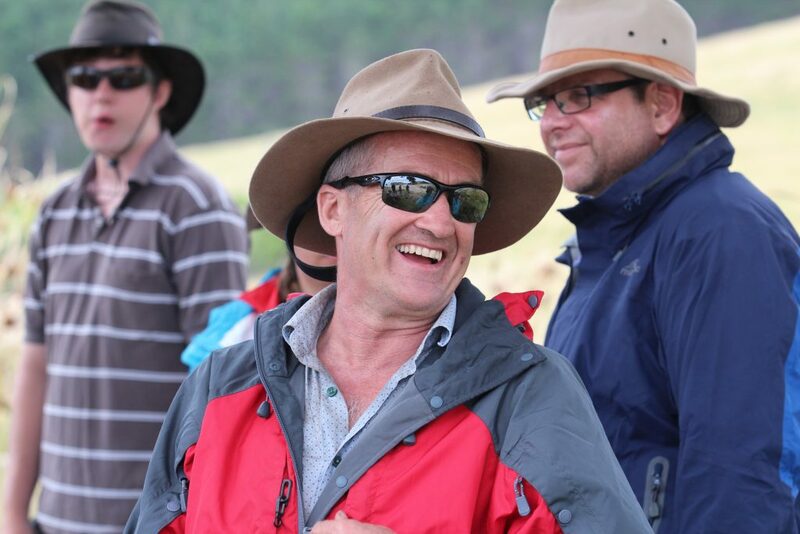 He is an expert in archaeology and is the author of ‘A Record in Stone: The Study of Australia’s Flaked Stone Artefacts‘, ‘Geoarchaeology of Aboriginal Landscapes in Semi-arid Australia‘ and ‘The Effects of Holocene Landscape Changes on the Formation of the Archaeological Record in the Fayum Basin, Egypt‘. 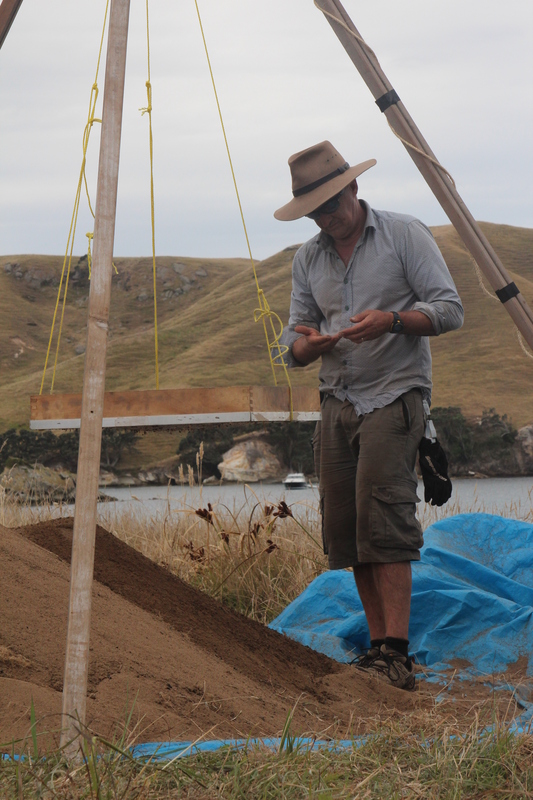 You’ve been digging primarily in Egypt, Australia, New Zealand. They seem disparate but is there a common theme among these particular digs? 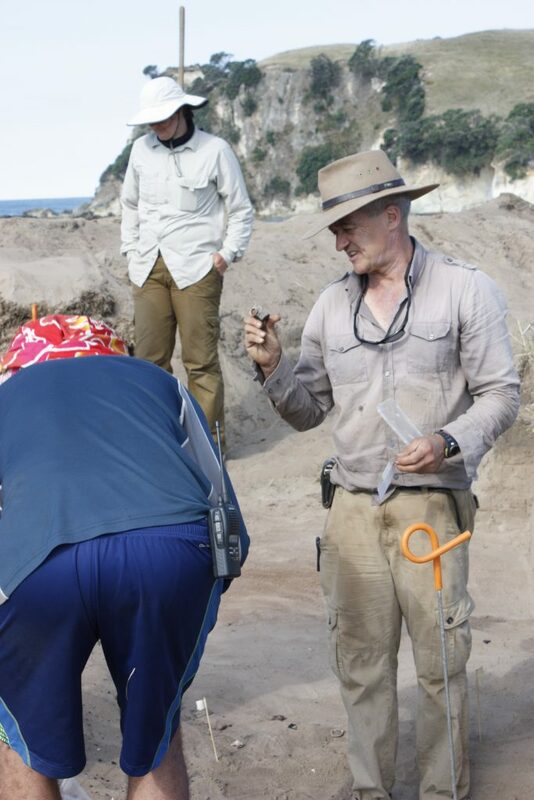 That’s a really interesting question, because if you look at archeologists worldwide, they often specialise in one area – certainly a temporal area, but often a geographic one too. So people will look at, for instance, the Yucatan area, the Mayan people and complex civilisations in recent times. Other people are really interested in hominid ancestors, so the paleontology thing. So I guess I’m a little bit unusual because I’ve moved around the world and looked at people from different geographic areas, as you say Australia, New Zealand, and Egypt. I guess the reason is that I’m really interested in, certainly the history of the people that I study, but also in a comparative perspective to try and understand human cultural evolution on the bigger world stage – to do a lot of comparative work, to realise there’s a lot of variation in the histories of different peoples around the world. What are the comparisons, the contrasts that you can draw from these three peoples? I think it’s a comment on our way of understanding the human past in general. If we look at the later 19th century, [there] was this notion that people moved through stages, so we had a hunter-gatherer stage – people who hunted wild animals and used wild plants. Then there was what people have described as a revolution, the Neolithic Revolution, a sudden change with the arrival of domesticates. And then there’s another later revolution: the urban revolution, as people start to concentrate into nucleated settlements, what we call villages and towns. That’s an idea that’s been around for quite a long time. It dominates many of the textbooks in archaeology. But a number of us over the years have started to dismantle this notion of sudden and uniform changes, this notion that all people around the world somehow went through this series of stages from one to the other. It’s linked to this notion of progression, [that] people who were hunter-gatherers had not yet progressed up to the level of the Neolithic, the term that we use to describe people with domesticated plants and animals. Much of my interest really is to take apart this notion of a fixed progression, and indeed to take apart the notion of progression at all, and to understand the variability that there is in the way that humans in the past have interacted both with themselves and with the environment they live in. So if we were going to take these three primary places where you’ve been doing your work, what would you say the differences were in those three—Australia, New Zealand, and Egypt? 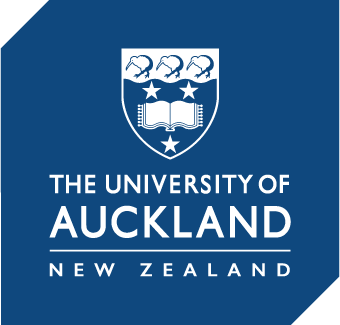 I guess intellectually what I’ve done is to start off in Australia, because I worked for a time at La Trobe University of Melbourne before I moved to Auckland. 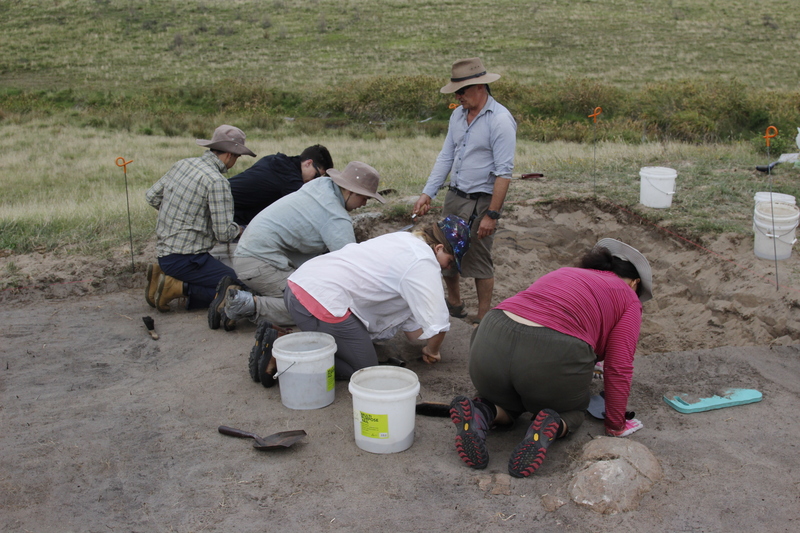 And my work in Australia was looking at relatively recent aboriginal people, the archaeology of relatively recent people, [in the] last six thousand years or so because Australia has a long, long history of human involvement. I was really, really interested in trying to understand the use of space, how people distributed themselves across a landscape, and [how] aboriginal people made use of wild resources. They were hunter-gatherers. They didn’t have domestic plants and animals. They had the dog but no other domesticated plants and animals. They had a particular life way: they moved a lot, and we were very interested in how people moved across the landscape, trying to get rid of this notion that all of existence revolved around a place. The analogy I use, I guess, is that we go from place to place. We go from home to work, right? Our interest is in living in our house and then we get in some vehicle and drive frantically (or I cycle frantically) to work and then I am at work. That passage from home to work is something that we do as rapidly and as easily as possible. We don’t think about it as a major part of our day. Our major parts of our day are, if you like, nodes, places in the landscape. And what we’ve discovered, [having] researched a whole lot on Australia, is that perhaps aboriginal people’s life was not like that. Much of life occurred during the journey rather than necessarily at the place, certainly the sort of places that we find archaeological materials preserved. So we kind of changed this notion of node to node, to think about movement as part of life, that moving through country was very important. The Egypt project was interesting because we took a whole series of different approaches, different methods that we developed in Australia, and we applied them in Egypt. And the interesting part about Egypt is that we certainly had a record of hunter-gatherers initially. The chronology is a little bit longer, and the material that I’ve looked at goes back to about ten thousand years ago, through to about six thousand years ago. But at the kind of end of that period, the people that we were studying, the remains of the people that we were studying, they adopted some domesticated plants and animals—sheep, goat, a little bit of pig, wheat and barley. And what we did is to use a different approach. The arrival of those domesticates is very much an important development, one of those kinds of revolutions that I talked about before. We approached it slightly differently, and we said, ‘Well, that’s interesting, but I wonder if we put an Australian kind of perspective on to Egypt, and look more at the level of movement around the landscape. Can we detect that?’ And we’ve got some techniques that let us look at that. The techniques make use of material that we find archaeologically, and we need to remember that archeological material is the material that survives. So archeologists look at a lot of quite unusual things. They look at other people’s rubbish, but particular forms of rubbish: the rubbish that tends to survive is made out of materials that survive. So I spend a lot of time, for instance, looking at stone artifacts (along with my colleagues). Stones are a wonderful medium because people used [stone] in a world without metals, without plastic: you need something to cut things up and to scrape things and to manipulate other materials, and stones are a great medium for doing that. It was very, very important for people for a very long time. But for archeology, I guess the fantastic thing is not only was it important for people in the past, but it also survives. It is reasonably difficult to destroy stone material. It often survives as archaeological material. The other great thing for us about stone is that it’s a nice hard medium that people work by flaking, so they strike the stone to remove flakes and, in doing that, they change the kind of geometry of the stone, they take material gradually away that changes the volume of the material that is left in the surface area. The useful aspect to that process for us is that we can geometrically describe volume and surface, and the measurements that we make today of course reflect the geometry of the stone in the past directly. We can pretty much safely assume that the size of the material that we see today was the same size that we saw in the past, it’s this notion of a uniformitarian process. So we can use geometry to talk about the amount of material that should have been present given the size of the rocks that have been worked, and the amount of material that actually is present, and we can see that material has been moved away so that gives us a quantifiable measure of movement. And we’ve used that a whole lot to understand how people use landscape. When you say that it quantifies movement, is it the change in the geometry of the stone itself or where you find them? The combination actually, so one can imagine a block of stone, if you strike the block of stone, you take off a flake. If you remove that flake, then the size of the block of stone has reduced, and if you can estimate the size that originally was, the level of size change gives you a notion of how much material has been moved away. Of course, where the different material is that you find, that is where people have been, and that gives us a notion of movement, so we can actually quantify how much material is moving around and from that make inferences about mobility. So that’s just one example of the way that we’ve gone about understanding how people use a landscape. And so now back to this idea of applying what you found in Australia with mobility to your dig in Egypt, what did you find? Well I guess the interesting thing [is]. . . it’s a little bit like the analogy I was using about living in a home and going to work. With the development of domesticated plants and animals, people imagined — and there is indeed quite good evidence in other areas of Southwest Asia that people lived in villages—[that] they lived in the beginning of a kind of nucleated settlement. And that’s a form of settlement that perhaps strikes a chord with many of us because we live in villages, towns, cities, and again we come back to this notion where we live in a nucleated place. And we go to another place to do a set of tasks, for instance, work, and we can imagine that as the beginnings of animal domestication. It’s a little bit like that, so people began to live in villages, and they certainly did do that in some parts of the world, but interestingly, not all parts of the world. So when we looked at the Egyptian material, what we saw was the appearance of domesticated plants and animals occur. But it seems not to have such a very big effect on the overall economy. The people from ten thousand years ago are using a lot of fish, and in fact they continue to use a lot of fish from the Nile and a big lake that is fed by the Nile called Lake Qarun that we’ve been studying. And that continues, even though domesticated plants and animals arrive, and they don’t seem to change their movement all that much either. In fact, they don’t seem to develop the sort of villages that we would expect. A lot of people have suggested [that] almost on the presence of domesticated plants and animals alone, that they must have had villages. So what we did is to look at a number of locations, a large number of locations across the landscape, used some of the techniques like I described with stone artefacts to look at movement and say, ‘Well, actually we don’t find any evidence for these villages’. And I think what that illustrates is that the wonderful thing about human past is the variability, we all are not the same, we have variations in the way that we engage with environment, with the economy, and of course we’ve engaged with each other [in] kind of the way that societies are made up. We really need to recognise that the wonderful variability we see around the world today is mirrored by wonderful variability in the past, and be careful that we don’t fall back into that kind of stage set of revolutions that I was talking about before [that argues], ‘Well, all of humanity must have gone through this sequence,’ because actually when we look at the past, we see all of humanity has not got through that stage. For example the landless farmers of Brazil as an example of people who don’t live in a traditional village setting even today. We need to really be open to understand, almost imagine a whole set of different life ways that existed in the past for which we can find [evidence] . 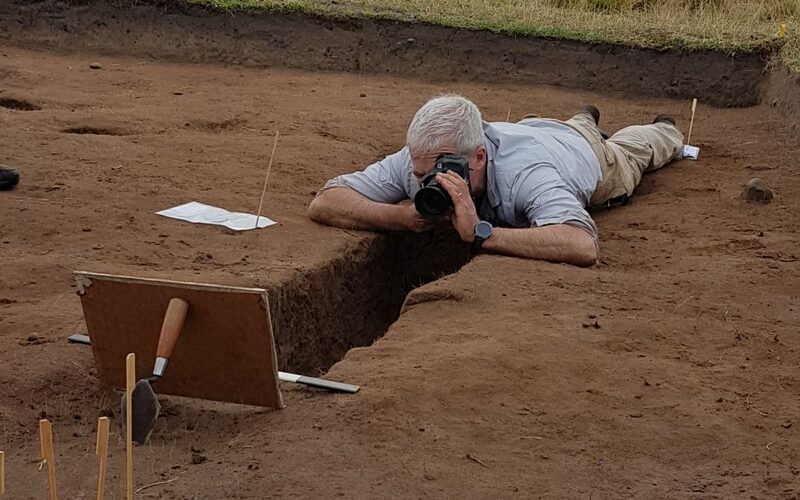 . . and realise that the wonderful thing about the archaeological record [is] that the material record tells us about alternative ways for people to engage with the environment. And that is probably a better measure of our past than these very rigid ideas about kinds of progress that tend to reflect some of their own culture rather than the culture of people in the past. One of the other interesting things you were doing was trying to see how our ancestors have dealt with changes in their climates. I was wondering if there was some common ground there, or were they all variable as well? Inter-relationships between people, climate and the environment is very, very interesting, and I guess it’s understanding the level of engagement. There are a couple of things: firstly, climate change because it’s so much on the agenda. It’s almost as though it kind of happened with the industrial revolution and [as if] before that, the climate was absolutely uniform and never changed at all. And of course, when you look at palaeo-environmental studies that’s absolutely not what happened. The environment’s been shifting around at different scales and from places in a whole lot of very interesting ways, and humans throughout their evolutionary history have engaged with those environmental shifts. So we need to be quite clear that climate change is not something that just happened. Certainly the sort of climate change that’s happening in recent times has shifted, but environments have always been moving around, and it’s very interesting to see the variability in the way that humans have dealt with that, because we have faced environmental challenges before, and humans have found a fantastic array of ways of coping with that. So that’s a major research interest for my group. What were some of them that you found in the different regions? We see major shifts in North Africa, for instance, at the end of the last ice age. We call it the Pleistocene moving into the Holocene. There’s some pretty significant shifts in the nature of the Saharan regions, in the Egyptian part of the Sahara certainly, but the Sahara generally was considerably wetter in that period immediately after the last ice age. That lasts for quite a significant period of time and then it begins to dry out going closer to the desert that we see today. People had to adapt to those major shifts, and they did so in a number of different ways. Pastoralism, for instance, is one technique that develops. People use domestic plants and animals. There’s also a concentration, as I said, on some of these pretty rich rivers, like the Nile or lacustrine lake areas, Lake Qarun, and they form places that people return to. That’s very interesting to see how they use those sorts of resources through time. Could you see that also in New Zealand? New Zealand is a fascinating contrast to both the Australian work and the Egyptian work. Firstly, the Polynesian settlement of New Zealand is comparatively recent compared to other areas. Australia is 40 to 50 thousand years or so old. The African continent saw the development from our very early hominin ancestors through to anatomically modern humans. Polynesia was settled much, much later. Indeed, New Zealand has seven to eight hundred years or so of Polynesian settlement during which Māori culture developed, the indigenous people of New Zealand. So [it is] very much a shorter period. But in some ways there are some very interesting parallels. 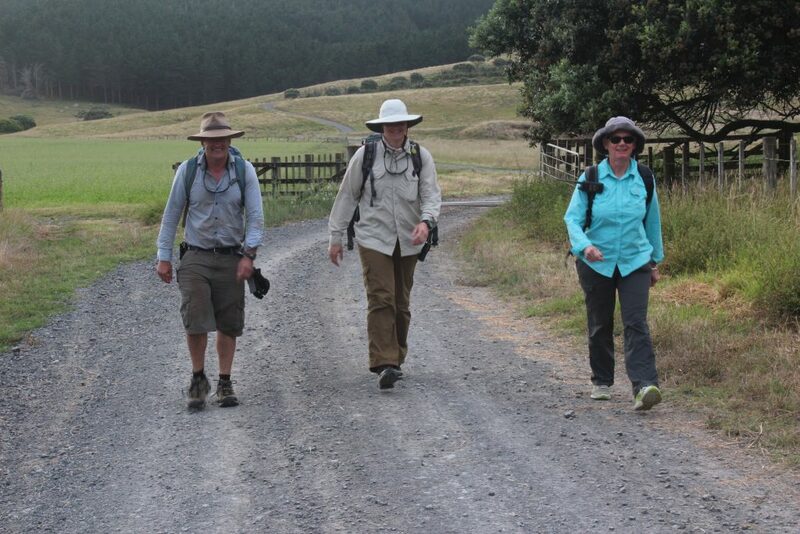 For instance, the first settlers to New Zealand faced a forested environment. It was almost uniformly forested, with little exceptions at the top of the Alps in southern New Zealand, and the volcanoes in the north. But the whole area was forested. The people that came down were people who had domestic plants and some domestic animals. Not so many of the domestic animals made it to New Zealand, but certainly the domestic plants did. So they faced some issues in dealing with this fantastic new environment that they found—very rich marine resources, as there are today in New Zealand. You can imagine that in the past that would have been even more so, but coping with a different environment outside Polynesia from where they came was a challenge, so people met that challenge in a number of different ways. They established early settlements and needed to pretty rapidly deal with the fact that they had kumara, which is a Māori name for a sweet potato, which they needed to cultivate and which they did fast. So understanding how people interact with those early environments is important. Mobility, it turns out, is also important for New Zealand. We’ve got very good evidence from the sort of stone sources that people were accessing—a wide range of sources from all over New Zealand very early in these sites. Obviously people are moving around a great deal. So we come back to this notion: do they establish this almost European version of a village and surrounding areas, almost in a kind of medieval way? And I think the evidence is pretty clear that they didn’t. They had, unsurprisingly, yet another take on how to deal with this new environment with domesticated plants and this fantastic marine resource, and they moved around a great deal, as we can see archaeologically. I read one article that said that one piece of evidence that you used was dog poop. Is this something that is a common type of evidence that you would analyse? It’s interesting, isn’t it, that a domestic dog is one of the animals that did make it to New Zealand? But I guess the interesting thing about archeology is not to concentrate necessarily on single artifacts. In the movies, you see the archaeologist grabbing the artifact out of some place and this provides the answer to more or less everything. But it’s really a lot of puzzle pieces? Yeah, and I think what we’re looking at is really the mundane material that was left behind by people for a variety of reasons in different contexts. One of the interesting things is to try and work out why material was left. Certainly, a lot of it is material that’s no longer used, was just not useful. People may have reused it occasionally, but eventually it falls out of the system. Other material is perhaps lost sometimes or abandoned for a variety of different reasons, and to understand the context of the material that we find, and the range of material is very important. So certainly dog poo is interesting because it tells you what the dog has eaten, right? One of the areas that we’re very interested in researching is if we can get some paleo DNA, ancient DNA, from the interior of the dog poo. [It is] somewhat bizarre—you can think of the dog poo as a kind of capsule of material that is relatively well-protected from material coming from outside. So one of the issues about getting ancient DNA is to keep it kind of protected from contamination. And the sort of DNA that we are interested in is not really so much dog DNA. We know it’s from dogs, but we’re interested in what the dogs ate and we’re particularly interested if the dogs ate, for instance, the sweet potato, the kumara that I mentioned, because finding early evidence of that can be quite difficult. So if they consume that, and we can pull that DNA out, we have not managed to achieve that. You’ve got this deep history that many of us don’t have. How do you think that shapes your ideas about humanity? That’s a really interesting question. I guess for me, over the years, what’s really struck me is the variability in response of different cultural people at different times and different places. Sure, there are some commonalities about the way people went around things some of the time, the fascinating diversity. And you know, there are a lot of attempts amongst all of us to go for the big answer: ‘Oh, it’s because there’s environment change, or technological evolution, or happenstance,’ and people are saying, ‘Well, that’s the reason that such and such a change happened. And this explains the cultural or historical background of a particular people.’ [Yet] the more you study the deep past, as you point out, and in different regions, the more you realise that, that one explanation really isn’t going to cut it. It’s the wonderful diversity of interaction between people and other people, people and the environment, people and material culture that they develop. It is that real complexity in the context, in the historical context where we find it, that is the story of humanity rather than this drive to explain everything by single processes. In modernity, we are dealing with climate change and conflict—some similar to what our ancestors have dealt with. Does it give you some sense of how we’ve evolved, if we have really evolved, or are we seeing just very minor shifts in what humanity has become? I think it very much depends on what we mean by evolution. We can define and talk about evolution in a whole lot of different ways, biological evolution, cultural evolution. We can use it as a kind of pretty strict Darwinian concept. We can use it is a more general analogy. And I think perhaps the word gets bandied around a lot with those definitions merging into each other, and that’s probably not the best to kind of look at. I certainly think that looking at all this diversity, probably the first thing is to understand the diversity, that the way that one group acts is not necessarily the way another group acts. The more people realise that there are a lot of different ways of approaching problems, and the history of approaching problems leads to a whole lot of different solutions, the better we are. Going in with this, ‘Well, the model works in my backyard, therefore it will work in somebody else’s backyard’ is probably not one sustained much by the sort of material I’ve looked at.